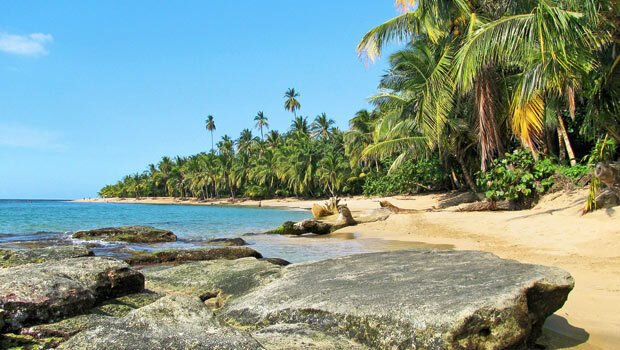 Costa Rica has two magnificent coastlines a short plane-ride away from each other. So, it is no wonder the country has become an ideal destination for couples loving beach honeymoons. Although famous for it sun-baked stretches of white sand beaches, the small country has plenty of other attractions like mountaintop views, verdant jungles and volcanoes. Here, wildlife thrives across the coasts and in the lush green forests. 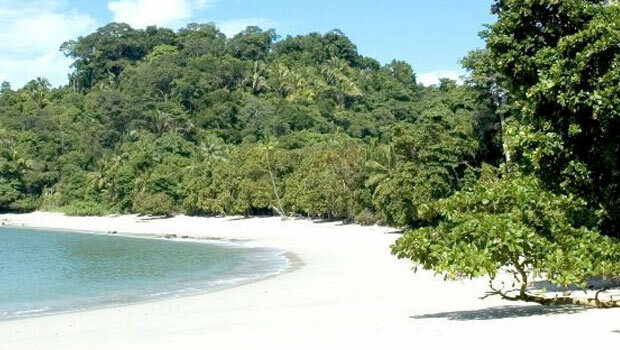 Costa Rica constitutes about only 0.1% of the world’s landmass, but it has nearly 5% of the biodiversity in the world. Manuel Antonio, a small town located on the Central Pacific coast, is considered as one of the ultimate spots for beach honeymooners. The northern part of Manuel Antonio beach has excellent waves providing surfing options for both novices and expert surfers. 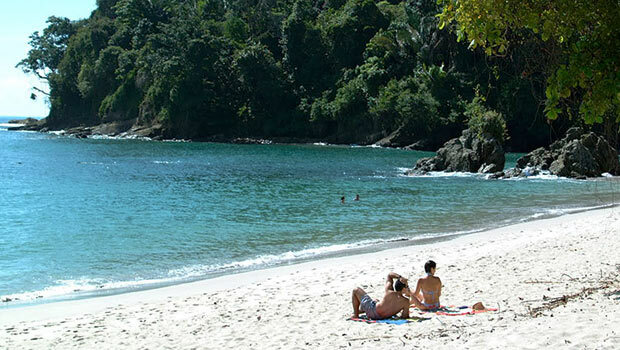 You cannot miss the amazing experience of watching the rich flora and fauna the Manuel Antonio National Park offers. There are plenty of fun activities in this coastal region including snorkeling, sport-fishing, scuba diving, horse-back riding, surfing lessons, ATV tours, zip-lining and much more. You can also take a boat ride to an estuary. The beaches near this town are very clean and Eco-friendly. 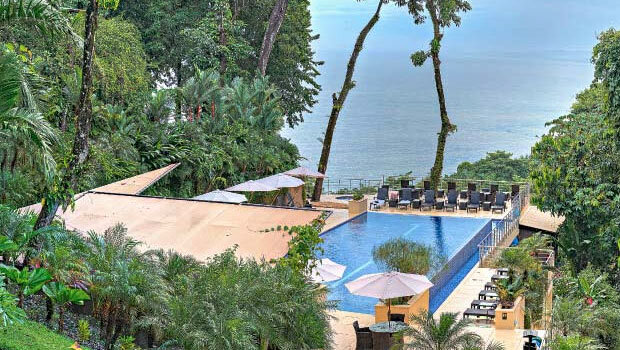 Manuel Antonio has plenty of luxury hotels and resorts offering special packages for newly weds. One hotel we can recommend for experiencing a great beach honeymoon in Costa Rica is The Preserve at Los Altos Resort & Spa, we consider this hotel to be the best you can get in Costa Rica’s central Pacific coast. The climate in Costa Rica remains mostly tropical round the year with minor changes due to rainfall, topography, elevation. The year is divided into two seasons: the dry summer (December to April) and the rainy season (May to November). It is best to plan your trip to Costa Rica in the summer. However, keep in mind that the Caribbean coast experiences rainfall throughout the year. While in Costa Rica, you will get to experience the country’s exotic cuisine that is a blend of Spanish, Caribbean, Native American and more cuisines. Top recipes in Costa Rica include Gallo Pinto, Casado, Tamal, Tres Leches cakes and Ceviche. The Costa Ricans, or Ticos as they call themselves, are very amicable. Hailing from a country that thrives on tourism, they know how to respect and care of their tourists. If you are a nature lover, you have plenty of destinations to explore in this country like the Monteverde Cloud Forest Reserve, the Arenal Volcano National Park, Drake Bay, Tortuguero National Park and More. Take a trip to Costa Rica with your loved one and you both will cherish the memories for your lifetimes.